The drive out of San Francisco was easy to navigate - way easier than the hairpin turns and mountain roads that were awaiting us anyway! Neither one of us were expecting this leg of the journey to be so crazy. I had researched us a place to eat lunch that was about 30 minutes away from the state park. My idea would be for us to fuel up with lunch before embarking on some fun trails through the state park. Alice's Restaurant hit just the spot! We both got sandwiches that were tasty. 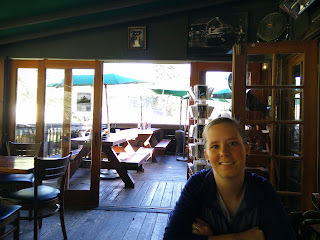 The restaurant has a lot of outdoor seating with an open air patio and indoor seating as well. Most of the outdoor tables were table so we had lunch on the open air patio and it was really nice. From here we continued our quest up the mountain to the redwoods! 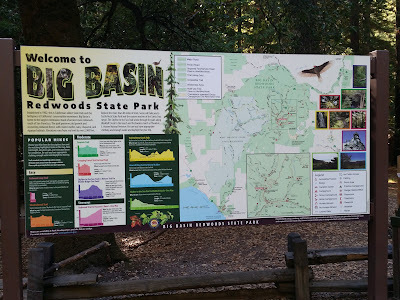 We arrived to Big Basin Redwoods State Park midafternoon exactly as planned. Then we decided to scrap the plan! The itinerary gave us about 3 hours in the park so we could find a good hiking trail but we quickly opted for the shorter one mile loop. We didn't want to be driving back down the mountain near dusk! 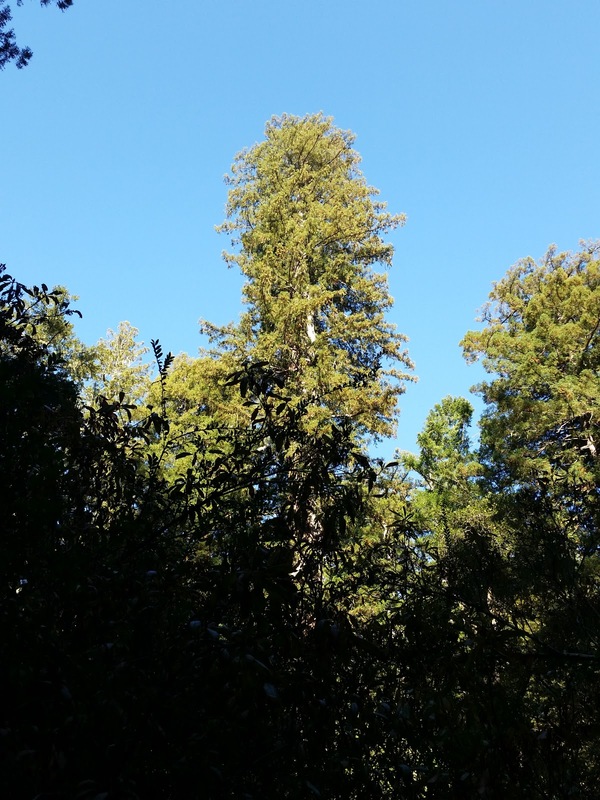 Despite the change of plans and short loop of a walking trail we weren't disappointed in our visit to see some redwoods. They're magnificent. 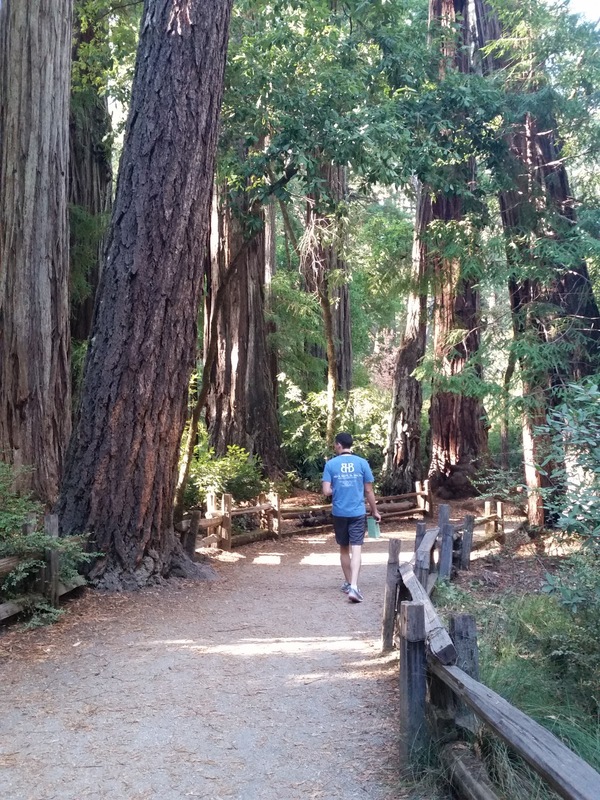 Seeing the redwoods forest was something our California must see list. 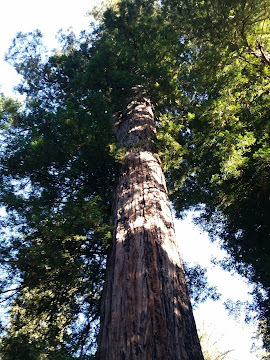 Lots of folks had recommended Muir Woods but that's north of San Francisco and we didn't want to spend time going north when our end destination was south. Plus there were so many other things to see and do in San Francisco! Visiting Big Basin turned out to be perfect for us. 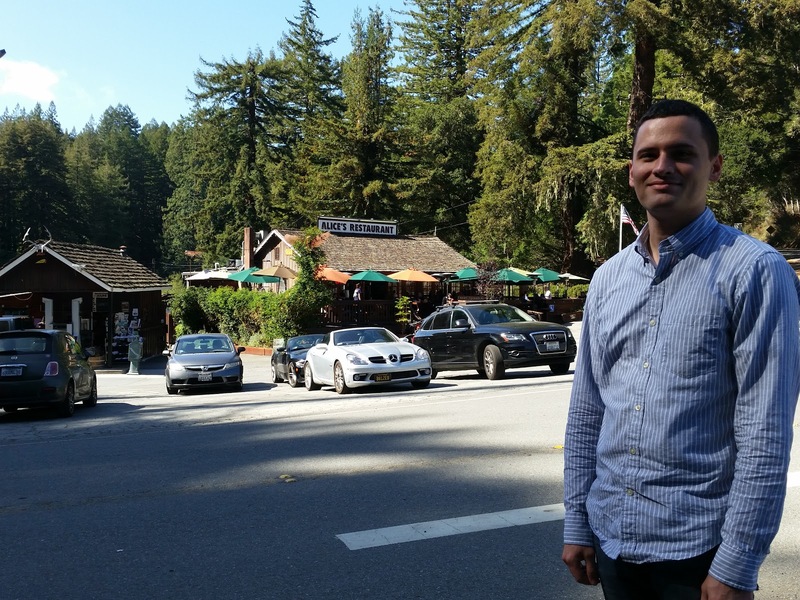 It was half way between San Francisco and Monterey and the perfect pit stop. 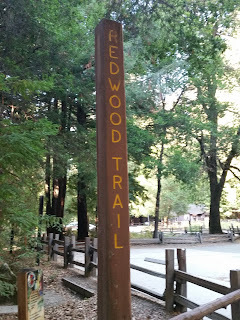 Our short one mile loop was marked as the Redwood Trail. Along the trail we saw the Father of the Forest tree (believed to be the oldest Redwood in the park), the Mother of the Forest tree (once the tallest but a storm took the top off recently), the Chimney Tree (hollow throughout due to fire), and many other interesting redwood trees. We had picked up a guide at the beginning of the trail that contained points of interest to notice along the trail and a bit of information about each one. Patrick inside a redwood tree! This was located next to the parking lot before the Redwood Trail. After we deemed the short Redwood Trail loop "good enough" for seeing redwoods we hopped back in the car and headed towards Monterey. Since we were departing the state park much earlier than expected we arrived in Monterey before the sun set. 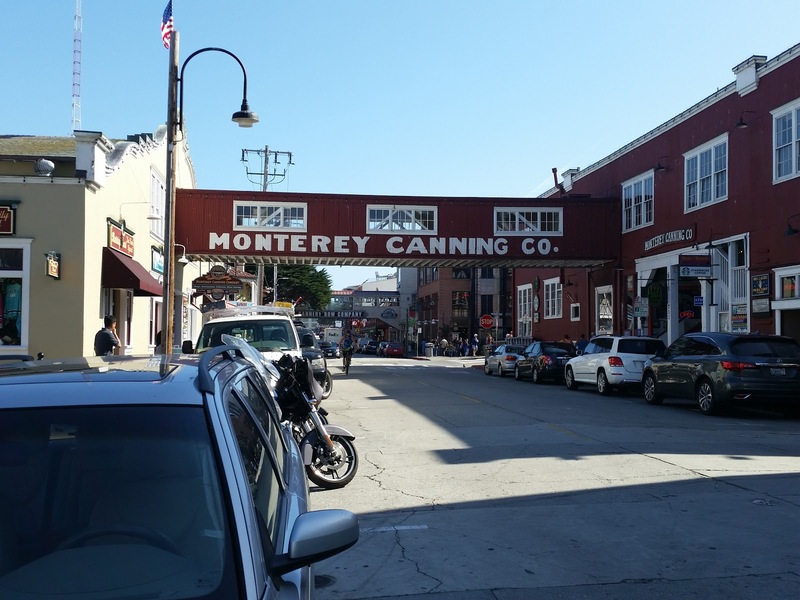 In Monterey we were staying at another AirBnB that was walking distance to the bay and these attractions. This studio apartment was nicely laid out and had enough space for us to utilize the kitchen (the San Francisco AirBnB studio was quite tiny). There was a grocery store a few blocks from where we were so we went there after unloading the car to get something for dinner and some snacks to take on the road with us. For dinner we fixed tortellini with sweet Italian sausage and a simple tomato sauce plus a salad. The next morning we woke up and had a light breakfast in the studio. At the grocery store the evening before we had also picked up yogurt, granola, and fruit. 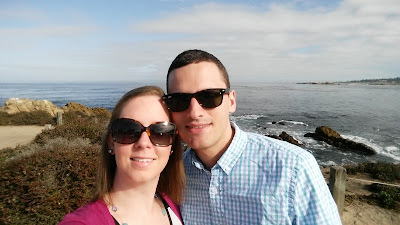 We decided to start our full day in Monterey with a morning trip out to Pebble Beach to take in the gorgeous 17-mile drive. Our AirBnB offered bikes for our use and one thing we wish we would've done different would've been to bike over to Pebble Beach! Pebble Beach and one of the entry gates to the 17-mile drive was less than 15 minutes from where we were. 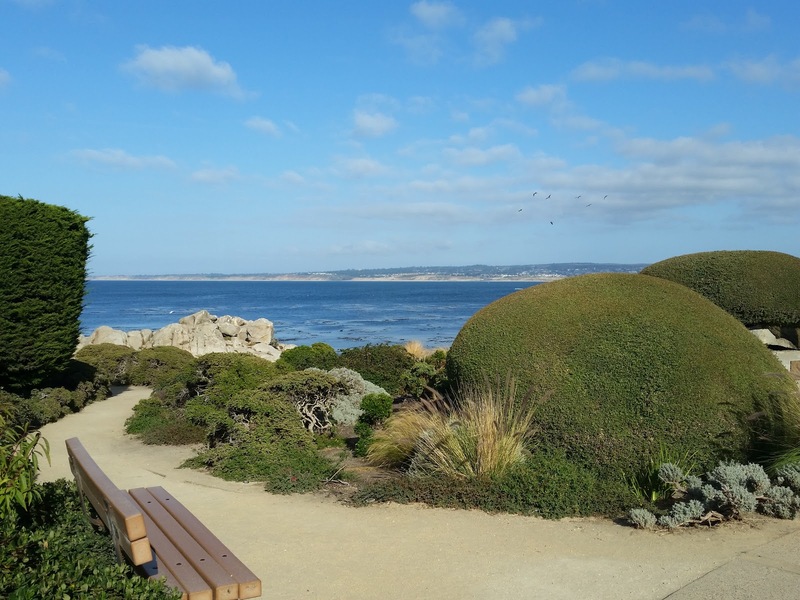 The 17-mile drive has stunning views of the Pacific coastline as well as the perfectly manicured greens of the Pebble Beach golf courses. The itinerary had us eating breakfast along the 17-mile drive but since we had our yogurt-granola parfaits at the studio we weren't hungry enough to stop. The 17-mile drive can be as long or short as you want it. There are several stop off points to venture around and the club house / shops at the 18th green are also open. 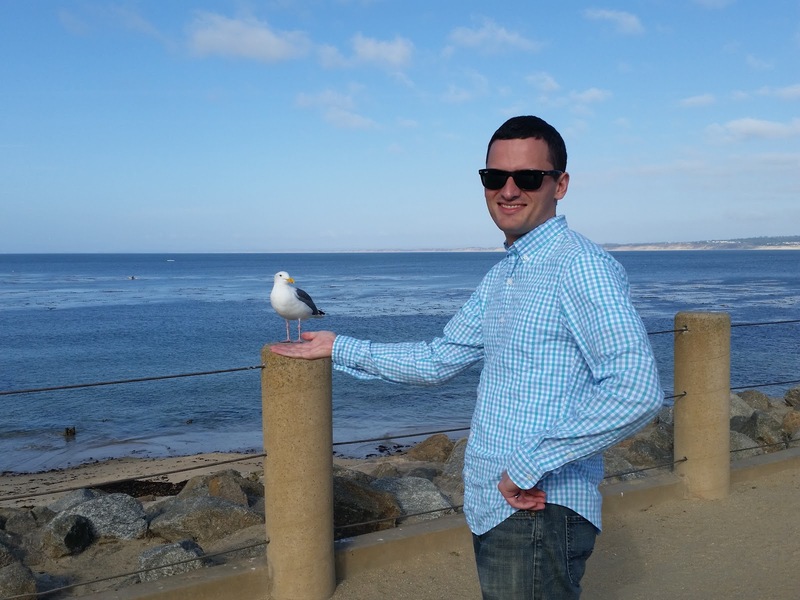 We probably spent about two hours taking in the Pebble Beach beauty. Once back in Monterey Patrick found us a lunch spot that was on the way to the aquarium. 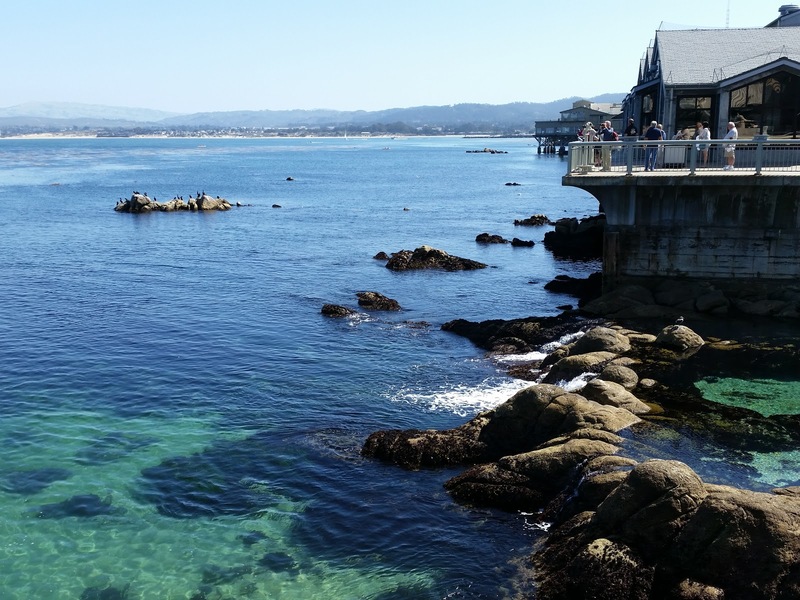 Zum Sushi is a fantastic spot to stop for sushi if you're near Monterey Bay. We certainly got our sushi fill and would definitely go back. 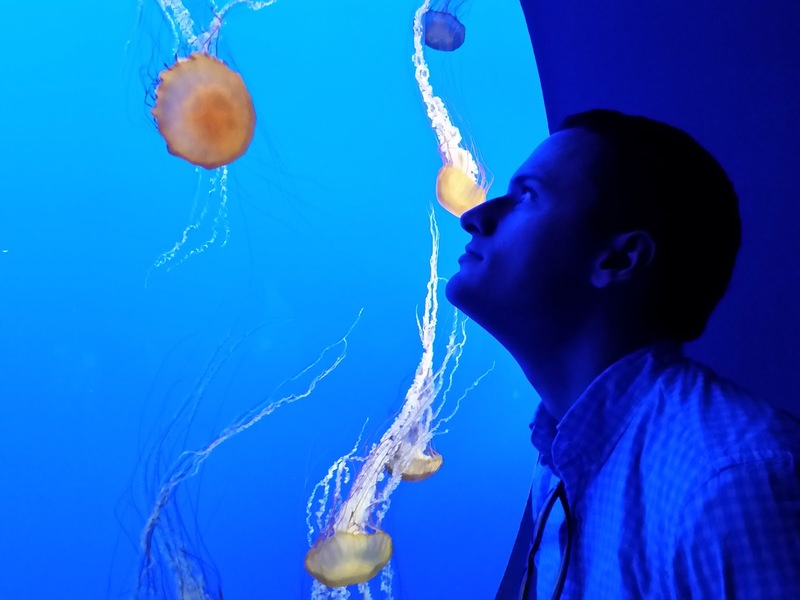 The Monterey Bay Aquarium was high on our planning list once we decided the road trip was going to happen. 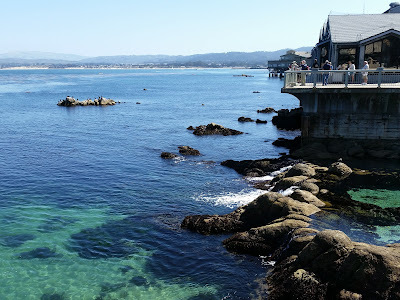 Most people we talked to who had spent time in Monterey or traveling the Pacific Coast Highway said the Monterey Bay Aquarium was something not to miss! The aquarium is nestled right up next to the bay and has overlooking views of the water. There were lots of neat things to see here - we particularly enjoyed the jellyfish! 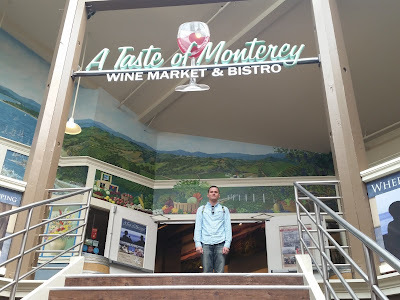 After our visit at the aquarium we strolled down Cannery Row and stopped at a few different places for wine tastings. A Taste of Monterey Wine Market & Bistro offers wine tastings with views of the bay. 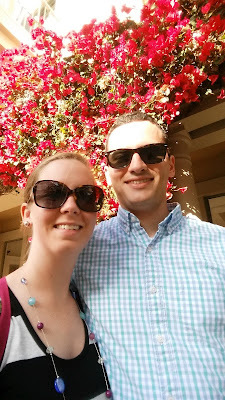 One of the reasons we decided that opting out of Napa and Sonoma was that we wouldn't be missing wineries! To an uneducated North Carolinian regarding wine growing regions of California we assumed that the wineries were isolated to the Napa / Sonoma region but we couldn't have been more wrong! California has a lot of wineries and Monterey County is home to over 175 unique vineyards. The vineyards and wineries have tasting rooms set up downtown so we don't have to travel to them. Plus there's even more wine in Santa Barbara (preview - there's an official wine tour there). The tasting room at A Taste of Monterey had a tasting with several different local wines that we sipped on while looking out into the bay. We also stopped into the Carmel Ridge Winery tasting room. 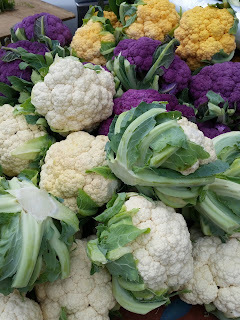 After the wine tastings we started our walk across town to the Farmers Market at Old Monterey Marketplace. We were able to walk along the Monterey Bay Coastal Recreation Trail which hugs the bay. It was a great way to get in some extra activity. Our AirBnB host left a book with information in our suite and recommended the farmers market in Old Monterey on Tuesday afternoons. As luck would have it our full day in Monterey was on a Tuesday! The Monterey Bay Coastal Recreation Trail connected us from the aquarium / Cannery Row area all the way to where the farmers market was (and beyond). 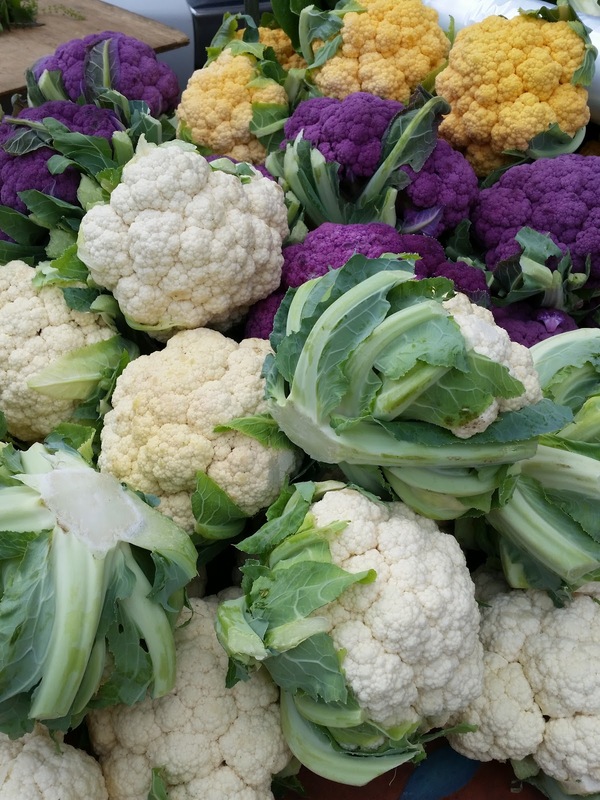 The farmers market was impressive in vendors! 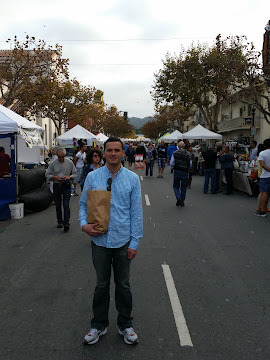 There were two city blocks of vendors for this farmers market. We had so much fun looking at the vibrant produce that we decided to buy everything we'd need for dinner before we left. We were able to find pasta, scallops, brussels sprouts, an onion, thyme, and garlic. We picked up butter at a corner store on the walk home and had a bottle of red wine from the grocery store. 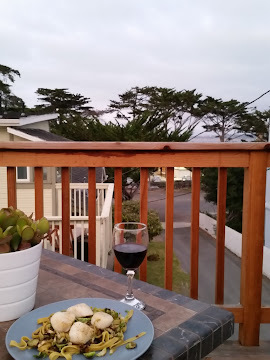 We cooked and ate dinner on the outdoor patio of our studio - we could see the bay in the distance! And before we knew it our two nights were up in Monterey! The third leg of the trip was Santa Barbara. Wonderful. Love the Redwoods. Pebble Beach beautiful!